Every government in the galaxy both fears and respects the Vorlons and keeps extensive files monitoring their activities â€“ however, very little is actually within those files. What is clear is that they are a very ancient race, secretive in their motives and ambitions, and possessing technologies far in excess of anyone else in the galaxy. They are not merely centuries ahead of other races, but millennia. 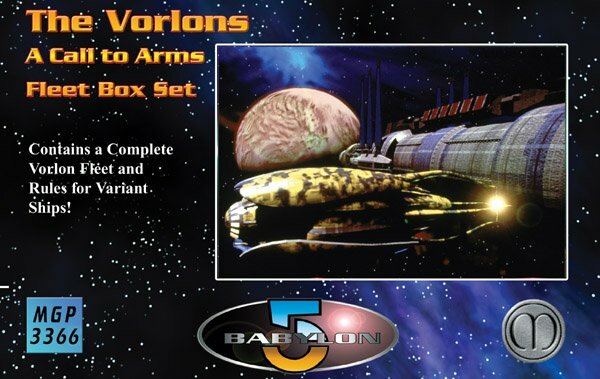 Before Ambassador Kosh arrived on Babylon 5 in 2257, no race had any contact with the Vorlon Empire though it is rumoured that they have had ties with the Minbari far in the past. Many expeditions have been sent into the Vorlon Empire to learn more about this enigmatic race but none have ever returned. On the few occasions the Vorlons have acknowledged the existence of these ships, they have merely stated that the expeditions met with an unfortunate accident and suggested that no others are sent. Some have theorised that the Vorlon Empire is surrounded by dangerous hyperspace currents and other navigational hazards that only the Vorlons themselves are able to negotiate, though others are certain more sinister events have taken place in order to preserve the secrecy of these worlds. The Vorlons have thus become more myth than reality in the eyes of many races and many wild stories are told about them. There are tales of fantastic cities of unbelievable technology on their worlds and living ships miles across. It is even said that anyone seeing a Vorlon will be instantly turned to stone. The only Vorlon seen by the other races, Ambassador Kosh, does much to maintain these underlying fears. Rarely leaving his quarters, even to attend meetings of the Babylon 5 Advisory Council, he consents to see very few petitioners wishing an audience and travels everywhere in an encounter suit, ostensibly to protect him from the atmosphere of the station. It is presumed Vorlons are methane-breathers, but some are beginning to wonder just how necessary the encounter suit is, and how much it is just to cloak his true appearance.